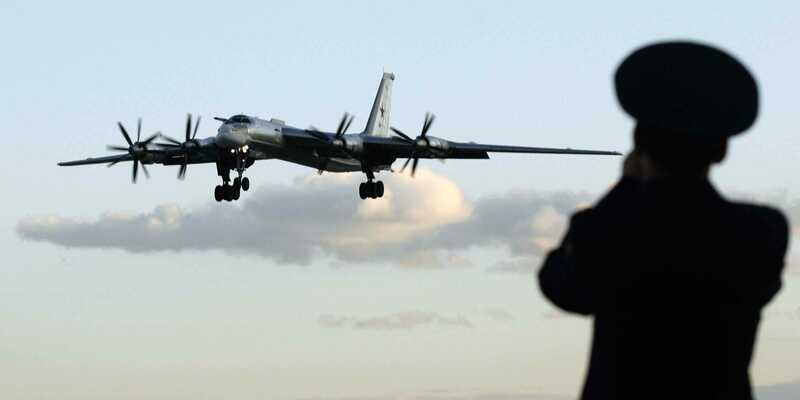 Tensions between Russia and the West have been steadily growing over the past few months, as there has been a sharp uptick in Russian bombers and fighters flying missions over Europe. This increase in activity has taken place against the backdrop of a frozen conflict in Ukraine, which has already pitted Russia and the West against each other. This rise in tensions, summarized succinctly in a recent brazenly anti-Western Putin speech, has led to Russian aerial incursions being viewed with increased hesitance. “What is significant is that across history, most of these incursions have been very small groups of aeroplanes, sometimes singletons or at most two aircraft,” the Supreme Allied Commander in Europe, U.S. Air Force General Philip Breedlove, said at a Pentagon briefing. We have listed below some of the most notable instances of provocative Russian aircraft exercises over the US and US allied territory since March 2013. Russian military aircraft simulated a large scale bombing run over Stockholm, Sweden. 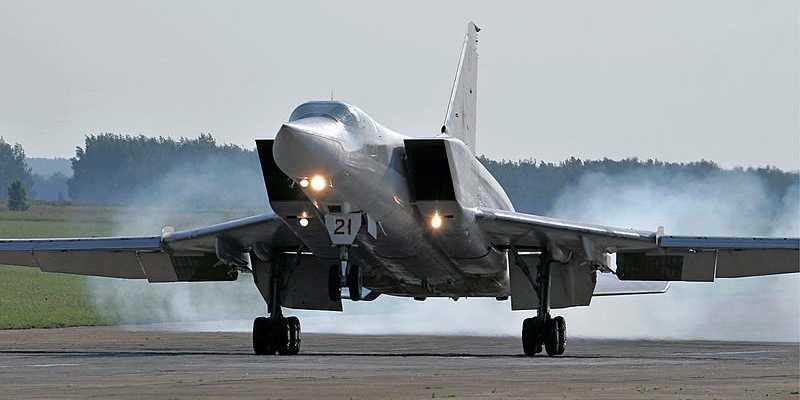 Two Tu-22M3 Backfire heavy bombers, which can carry cruise missiles and nuclear weapons, and four Su-27 Flanker fighter jets flew within 30 to 40 kilometers of Swedish territorial waters before returning to Russia. On February 24, Estonia’s independence day, US F-15Cs intercepted a Russian spy plane. The F-15Cs were in Estonia as part of the NATO rotational force that helps to police the Baltic states’ airspace. In a seeming return to Cold War tensions, Russia increased its aerial activity throughout the Pacific. US fighter jets intercepted Russian Tu-95 strategic bombers over Guam and over the Pacific west of the California coast. 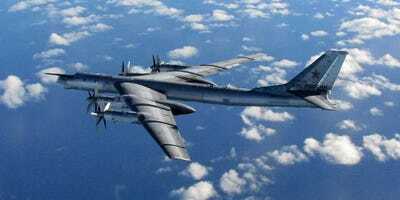 In the beginning of June, four Russian Tu-95 strategic bombers triggered US air defence systems in Alaska and California. Two of the bombers returned to Russia after being intercepted over the Aleutian islands, while the other two continued to within 50 feet from the North California coast. Russia carried out a simulated attack of the Danish island of Bornholm while the island hosted 90,000 guests in a political festival that drew attendees from ranging from politicians to journalists and activists. The Russian planes were equipped with live missiles, and was the most overtly offensive Russian simulated strike against Denmark since the Cold War. 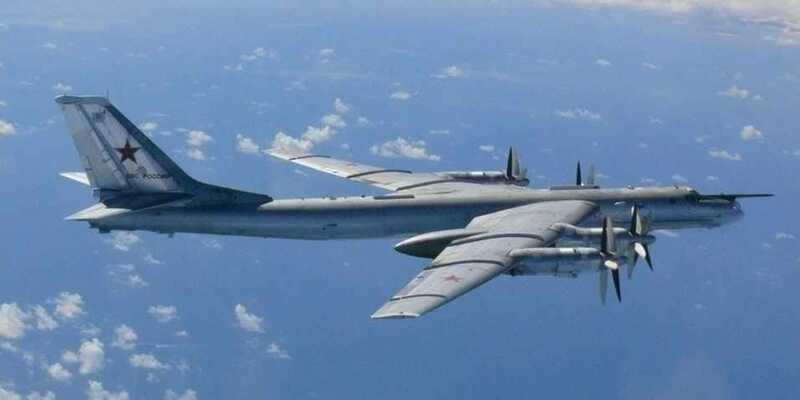 During a ten day period from the end of July into the beginning of August, Russian strategic nuclear bombers carried out at least 16 incursions into US air defence zones in the northwest of the country. 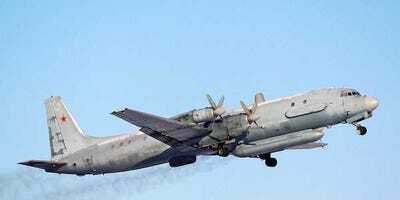 The Russian planes included Tu-95 heavy bombers and intelligence aircraft. Sergei Karpukhin/ReutersA Russian officer takes a picture of a Tu-95 bomber, or ‘Bear,’ at a military airbase in Engels, some 900 km (559 miles) south of Moscow, August 7, 2008. Two Russian strategic bombers carried out simulated cruise missile strikes against the US during a NATO summit in Wales. The Tu-95s flew to an optimum site for launching the missiles in Canada’s north east. US fighters were not scrambled to respond to the threat, as the Russian aircraft stayed out of the North American Air Defence Identification Zone. From May 2014 to October 2014, Japan more than doubled the number of times it scrambled aircraft against Russian aircraft. The Japanese aircraft intercepted a mixture of Russian spy planes and bombers, and focused around a ring of contested islands to the north of Japan. Kirill Naumenko/Wikimedia CommonsA Russian Air Force Ilyushin-20. A Russian spy plane violated Estonia’s airspace. The Russian Ilyushin-20 flew for about a minute in Estonian airspace before being intercepted by fighters from Denmark, Portugal, and Sweden. Seven Russian combat aircraft flew over international airspace in the Baltic Sea. German Typhoon fighters intercepted the Russians over the Gulf of Finland. The Russian aircraft did not change course, and were also intercepted by Danish, Swedish, and Finnish forces before they landed in the Russian province of Kaliningrad on the Baltic Sea. Portuguese fighter jets intercepted seven Russian jets over the Baltic Sea. Simultaneously, Turkish fighters were scrambled to intercept two Russian bombers and two fighters over the Black Sea. The English RAF also intercepted eight Russian aircraft over the North Sea. After the interception, the formation split, with the fighters and a tanker returning to Russia while two bombers continued towards the Atlantic. 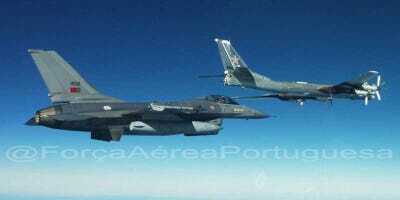 The bombers were later intercepted again by the Portuguese over the Atlantic.